It’s two days before Valentine’s Day and you want to make a beautiful, thoughtful, handmade gift for your partner or friends, but… it’s two days before Valentine’s Day. You’ve got a mile-long to do list and you just wasted the last two hours searching Pinterest, only to find DIY’s that look like your kindergartener made them. I’ve got you covered, because nothing says I love you like a simple, hand-knit valentine heart. 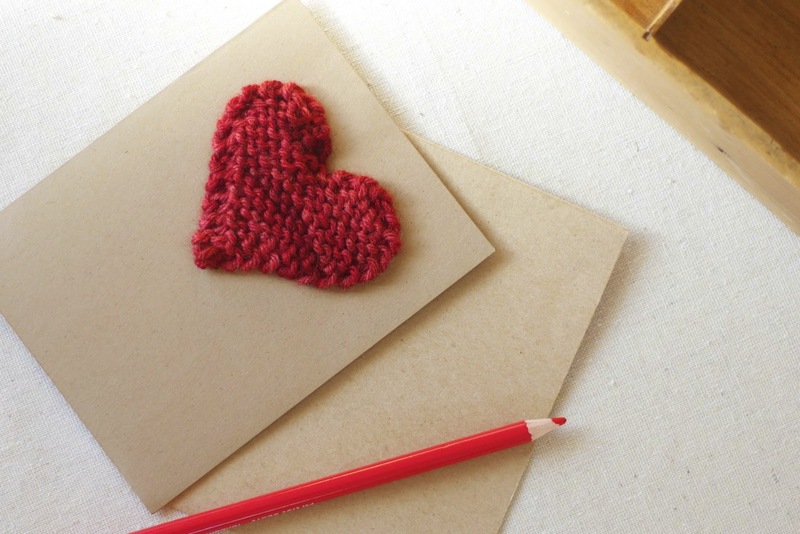 With only a few knitting supplies, that you probably have on hand at home, and about thirty minutes, you can make a meaningful gift that your loved ones will cherish. 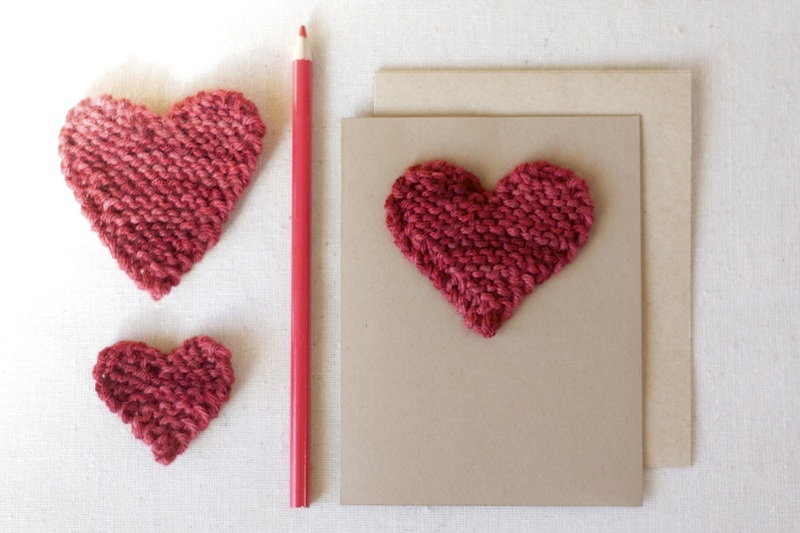 The pattern for How to Knit a Valentine Heart above is available in a FREE downloadable PDF. Please follow the directions in the gray box below and it will be sent directly to your inbox. Note: Current Subscribers can re-enter their names but won’t be double subscribed. Using it as a patch for mending a hole. I want to hear from you! What are you going to make with your knitted heart? Share your ideas in the comments so that we can be inspired by you! Um, thank you. I LOVE these…especially mounted on little cards!! This is a very nice heart shaped little heart… do you know what I mean? A lot of the hearts I see are not 'right'..but yours is very right..very beautifully heart shaped…thanks so much for the tutorial..
love your cute little hearts…..I know what I'm making this weekend! Thanks for sharing!! There are perfect and I am casting on tonight! Thank you so very much for this. I love the hearts. I am definitely going to make a few. Thank you sooo much for the pattern! Those are such lovely, special cards! I don't think I can get my act together for next week, but I'm definitely bookmarking for next year! Thank you! How gorgeous! I've just bookmarked this. Thank you! Thank you for the adorable pattern! Can I ask you what cast on you used? I am thinking sachets….bookmarking this pattern; thanks for sharing it with us! Those are the prefect heart shape! 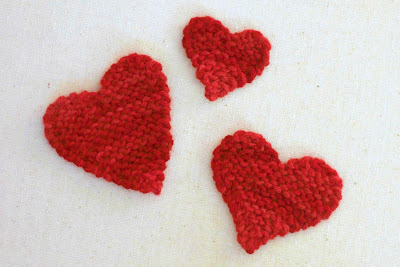 So many knitted hearts are a little wonky. I love yours. I haven't been knitting much lately but this quick project might be the think to get my knitting mojo back. Just made a sweet little card for valentine's day for my family featuring one of these cuties. Thanks for the idea and the patter. These look so perfect, definitely the best looking knitted hearts I've come across but when I attempt them I get an uneven pulling to one side in my finished lob-sided heart. Also, the ssk and the k2t seem to leave a ribbed effect which is different on both sides, and not present on your perfect ones. Any tips? Thanks, Ryan. For the lob sidedness, I made one like this too and when I ripped it back, I noticed that I didn't decrease evenly:) If that's not it, I always slip my stitches purlwise, so I tried making one slipping them knitwise and that didn't seem to change anything for me. When knitting garter stitch, I do tend to have a tighter gauge on one end vs the other, so maybe that's an issue. For the ribbed effect, I definitely have an "ugly" side, but I didn't notice a change with this either when I used the different slip technique. Thank you. I will be making several to put on prayer shawls. Those fabric hearts are so pretty. I can't wait to try myself and make them. im very much a begginer and knittin patterns i find are quite hard to understand when your still learning. this is the best and easyest pattern ive found after hours of searching the net. thank u so much, cant wait to have a go! I love that so much … and I'm in love with your blog. So glad I found you! Thank you!! I was looking for something special for someone special this year, since we have a 'no present' rule for Valentine's Day. Thank you!! Would still love to try any of them along with my cute Valentines day quotes. looking forward to more of your collections and on any occasion dear. 🙂 You are quite talented on crafts! Gorgeous! Thank you so much, helped me out massively! Thank you so very much for this really cute design. My daughters Camp Fire Boys and Girls club made paper valentines for the local Detroit VA hospital this year. They also delivered them to these injured veterans at the hospital. As their patch for their vests they each be receiving one of these knitted hearts for their contribution to the Valentines for Vets project at a special ceremony taking place this summer. Thank you for your design. I’m slowly but surely getting more hearts knitted. I’m so glad! They’re so much fun, aren’t they?